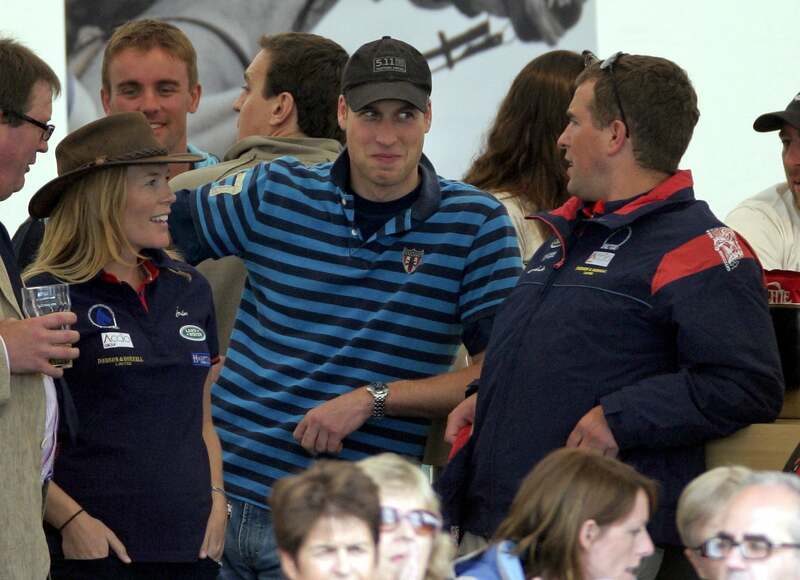 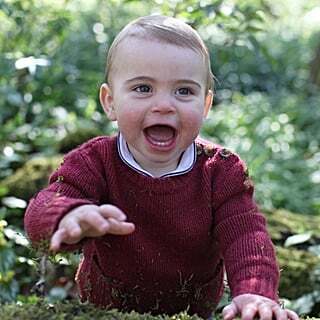 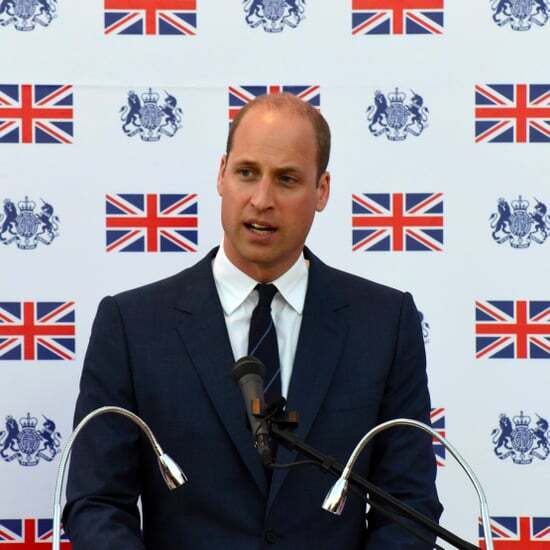 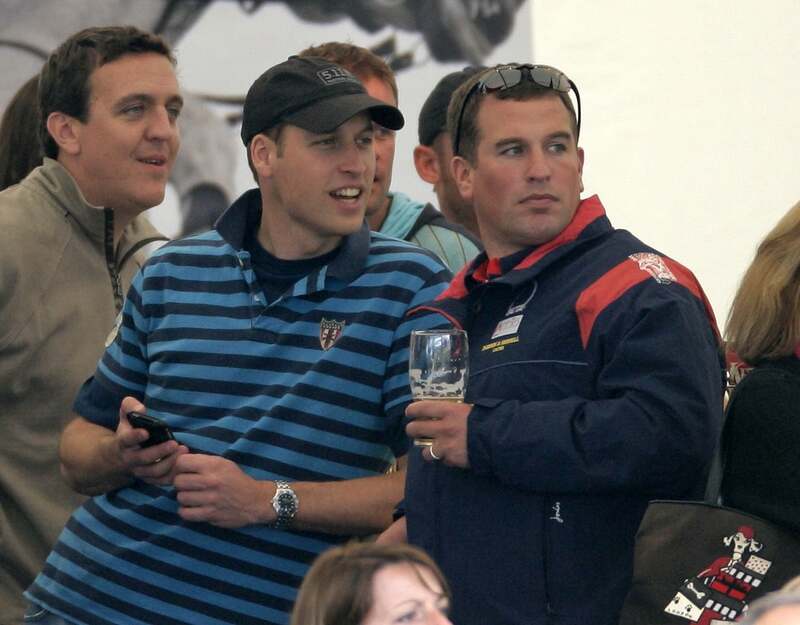 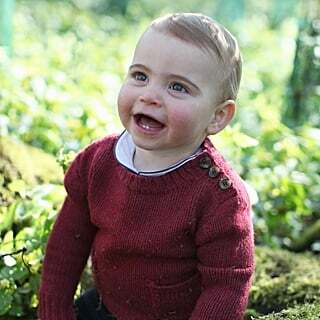 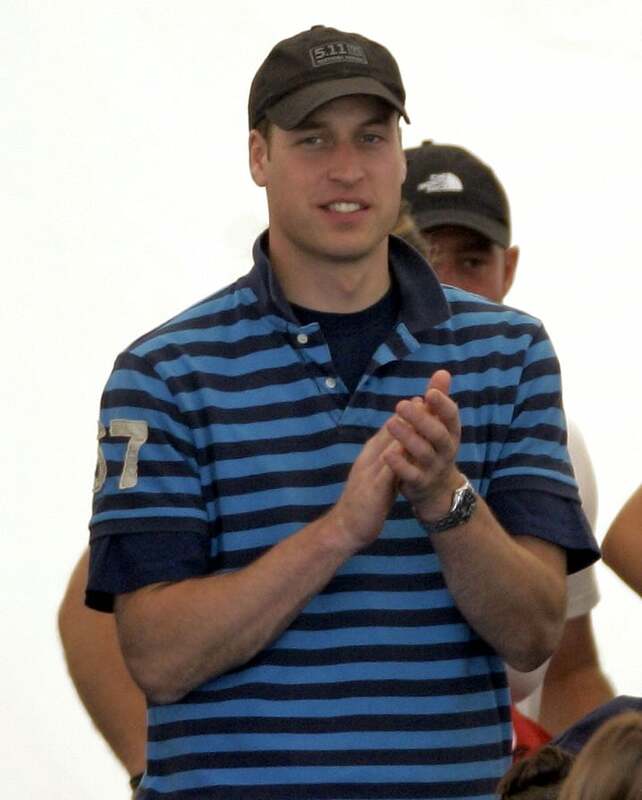 Prince William had fun with his family at the Festival of British Eventing at Gatcombe Park in Stroud on Saturday. 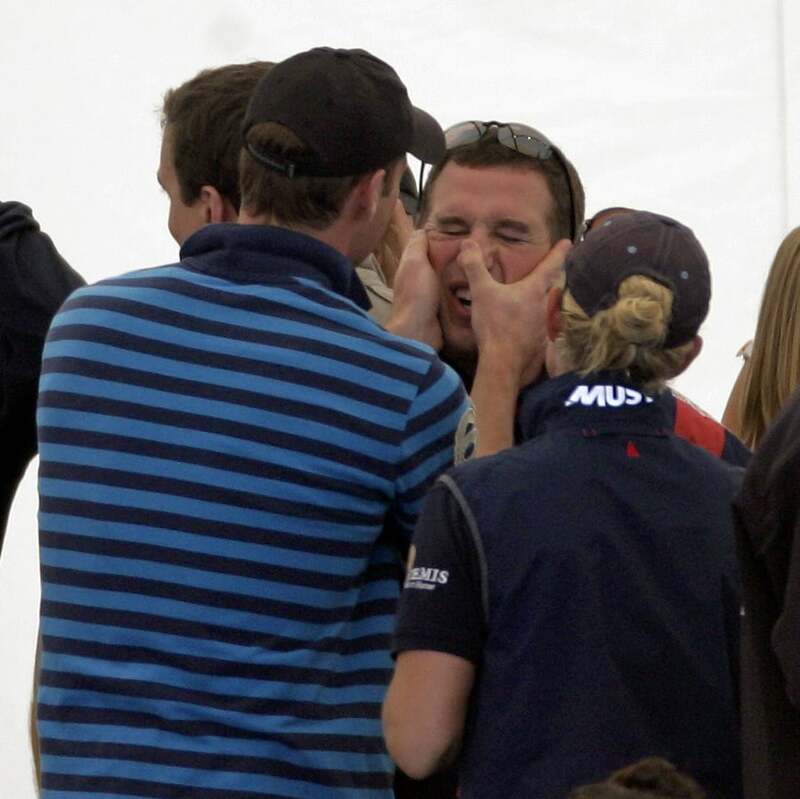 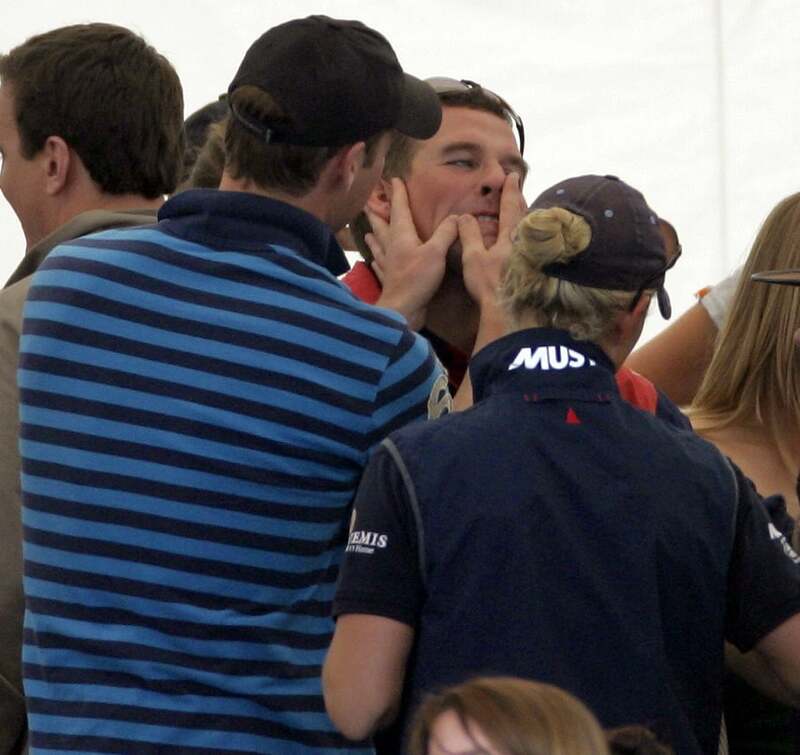 He squashed Peter Phillips' nose while Peter's wife Autumn and sister Zara laughed. 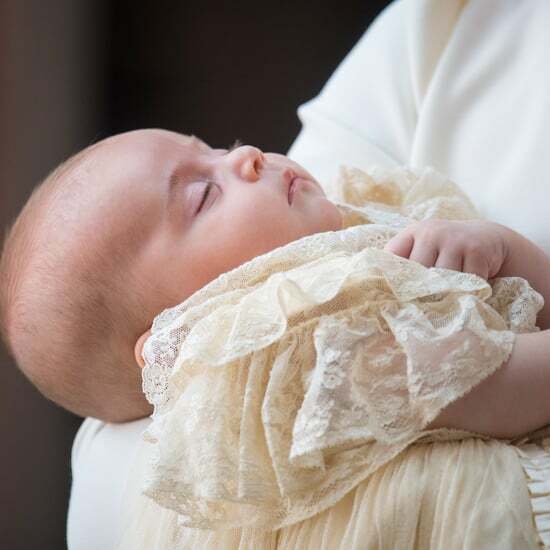 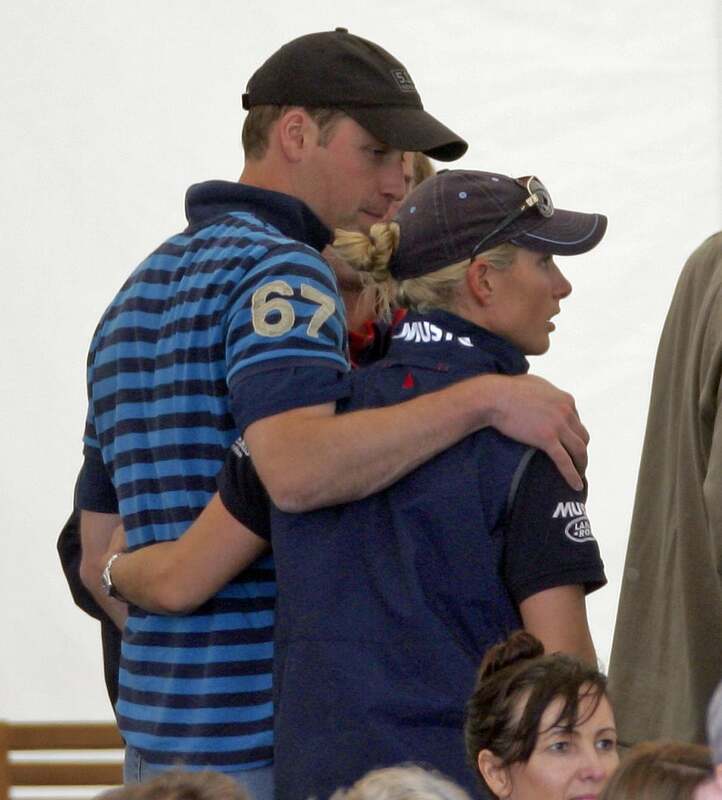 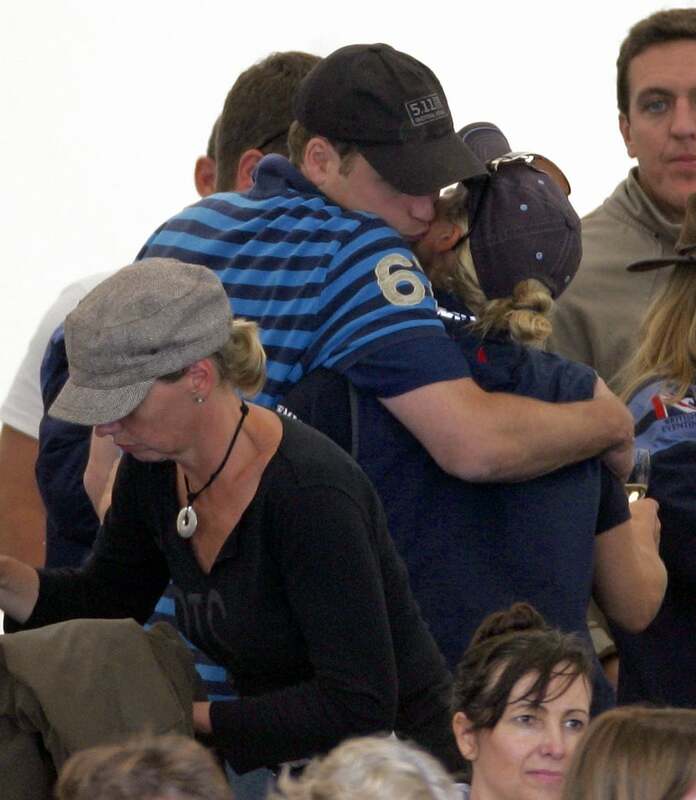 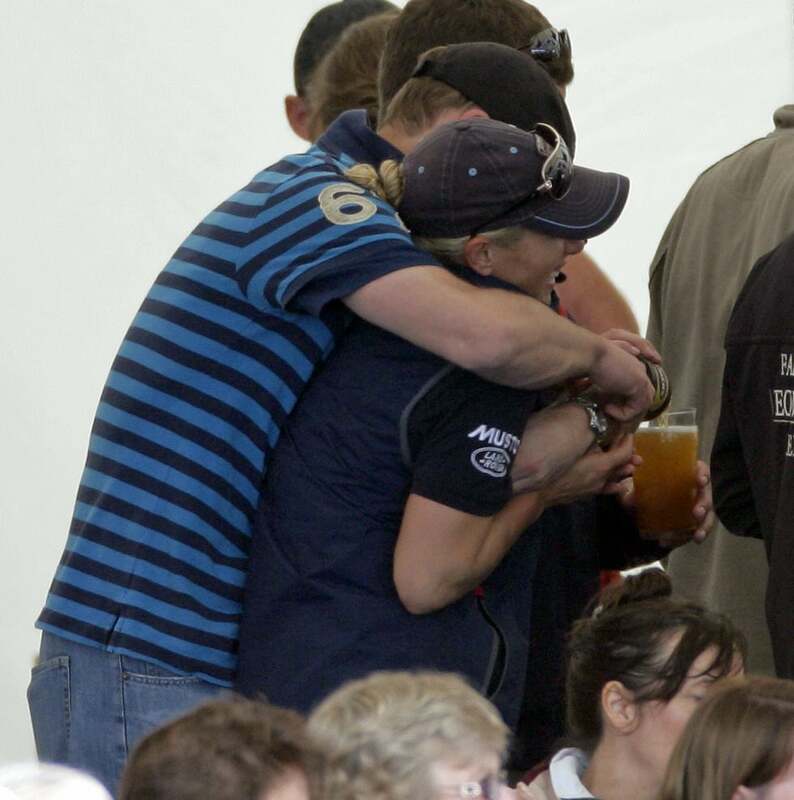 Wills shared cuddles and kisses with Zara as they hung out in the marquee. 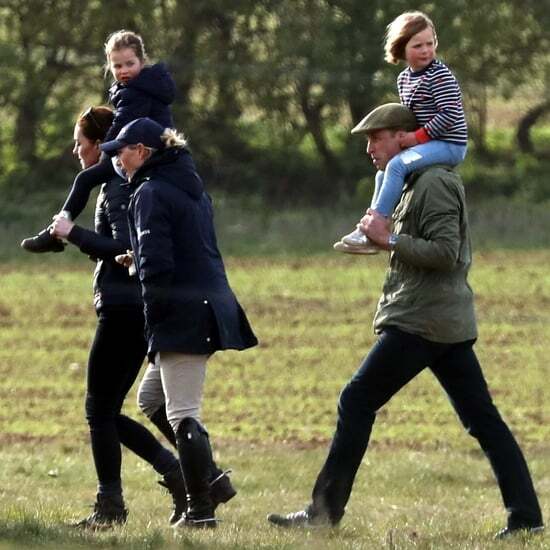 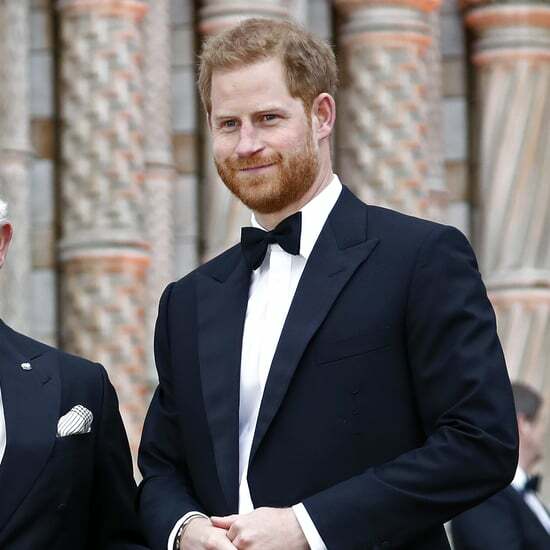 Peter and Autumn have just returned from a holiday with the royal family, while Zara has been busy with her clothes line. 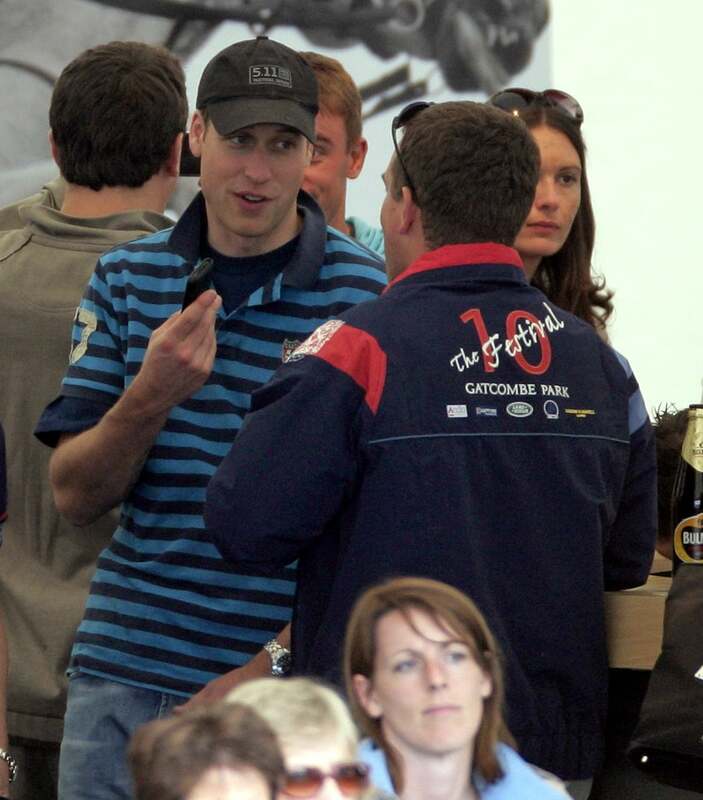 Wills was the one on the horse last month, when he played polo in front of Kate Middleton. 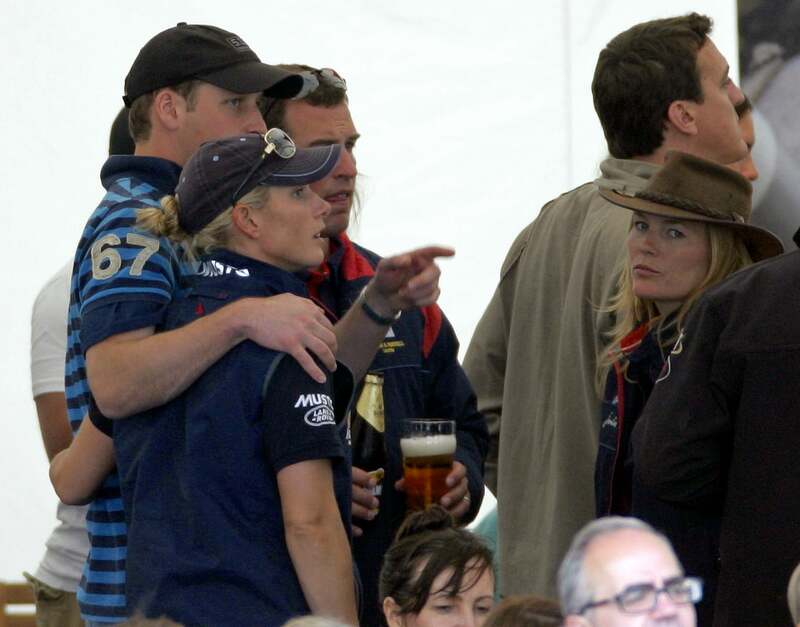 It has been revealed the couple share a distant ancestor.